My name is Hector, founder of Absinthe NYC. 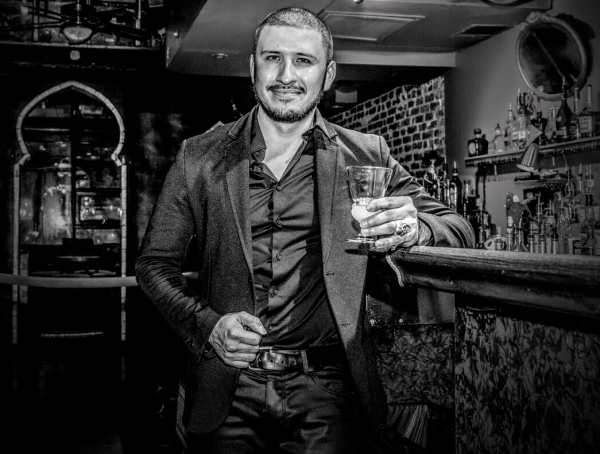 We are dedicated to educating and creating awareness about quality absinthe and introduce traditional and modern methods of preparation into NYC nightlife. I have been involved with the absinthe community for 12 years and have sampled over 90 brands. I currently review commercial brands for several online forums. For the past 2 years I have had the pleasureof being invited as one of the judges for Absinthiades Absinthe Festival in Pontarlier, France -The birthplace of absinthe. With support from the Swiss and French distillers and absinthe community, I work as a part time brand ambassador, advocate, and entrepreneur in introducing quality absinthe brands to NYC. Our tasting events focus on educating and expanding our guest’s palette; at the same time expelling myths and misrepresentations of absinthe. Each interactive tasting is filled with brief history introduction, presentation and discussion. We frequently invite guest distillers to our events to promote their latest products.